ASK TO RECEIVE QUARTERLY NEWSLETTERS BY E-MAIL! See Navigation Menu to left for Current Tours. Australian building designer Stephen Hanson, whom I met when he traveled to Los Angeles to participate in my architecture tour in 2003, has made arrangements for us to experience a unique tour of architecture in his homeland. 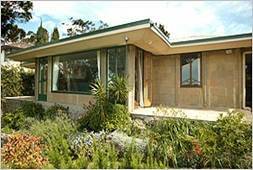 The tour begins with five days in his native Melbourne, exploring the architecture of the city and taking excursions into the beautiful Yarra Valley, the Mornington Peninsula, and Eltham, one of Melbourne’s outer suburbs, to discover the work of the top contemporary architects, such as David Godsell, Stephen Jolson, Graham Jones, and Gregory Burgess. 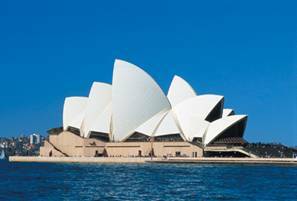 See some buildings by Walter Burley Griffin and Marion Mahony in Melbourne and then again when we travel to Sydney for four more days. Our local Belgian architecture guide will be waiting for us upon disembarkation from the River Queen in Antwerp, early in the morning. We travel by minicoach to Brussels and begin our two day tour of the Art Nouveau and Art Deco architecture for which Brussels is so beloved. Two nights in a central Brussels hotel. Start with three days in Budapest, Hungary, where the historic blends easily with the modern. 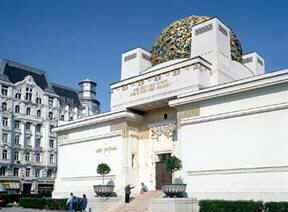 Get to know buildings by Odon Lechner, the first architect in Hungary at the end of the 19th century who gave new direction with his unique art nouveau buildings. 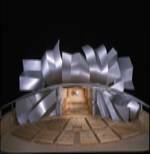 Discover the movement of Hungarian organic architecture as it expresses itself through the works of Imre Makovecz (see photo above of the Stephanaeum), who embraces the theories of Frank Lloyd Wright, Bruce Goff, Herb Green, AlvarAlto and above all, the ideas of Rudolf Steiner. Continue to Vienna, Austria, for three nights: see the unusual Hundertwasserhaus by Joseph Krawina; works by Otto Wagner, including the Steinhof Church, one of Wagner’s most inspired designs, and the Viennese Secession Building (see photo above) by Joseph Olbrich. On the way to Prague, Czech Republic, we stop in Brno to discover Mies van der Rohe’s Villa Tugendhat and the permanent exhibition pavilions built in the Interwar period. In Prague for four nights, we explore the beautiful Nouveau Obecni dum (Municipal House), the Cubist Dum u cerne matky bozi (House of the Black Madonna), and the 20th century additions by Joze Plecnik to the great Hradcany Castle. Also, modern works by Adolf Loos, all the way to Frank Gehry’s Dancing House. Classic European art and architectural influences meet with an urbane, design-heavy aesthetic in Montreal and Quebec City. Montreal is a cosmopolitan center where old and new stand side by side, with skyscrapers neighboring chic cafés, galleries and fine museums. 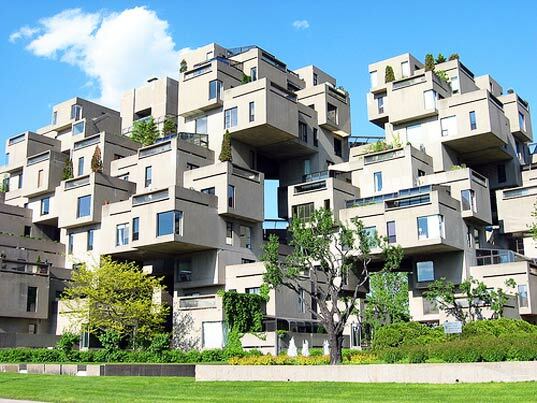 One of the most exhilarating avant-garde buildings developed for the World's Fair, Expo 67 in Montreal is Habitat 67, a 158-unit housing complex designed by Moshe Safdie on the St. Lawrence River. A walk through Old Montreal includes the historic warehouse-stores, the magnificent Montreal City Hall, the elegant Château Ramezay, and the grand Notre Dame Basilica. Tour the Canadian Centre for Architecture (CCA), and the Montreal Museum of Fine Arts. 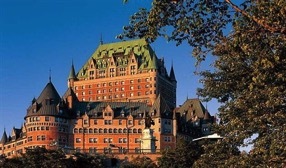 Enjoy a train ride through beautiful Quebec Province, to the historic city of Quebec. 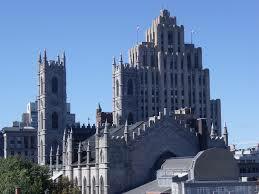 In contrast to Montreal, Quebec City has an old world atmosphere that makes it unlike any other city in North America. Besieged six times in its history, Quebec was finally conquered by the British in the Battle of the Plains of Abraham in 1759. Capital of New France, then capital of British North America, Quebec is, today, the heart of French culture in North America. Discover the Upper Town and Lower Town on successive days, and visit the Citadel, the Parliament, the Governor General’s Residence, and the iconic Château Frontenac (designed by American architect, Bruce Price, 1845-1903). Travel to lush, green Costa Rica for a week exploring the tropical splendor of this Central American paradise. Art and architecture enthusiasts will enjoy the unique accommodations, as well as the natural beauty of the land. Stay the first few days at the Finca Rosa Blanca Resort on the high central plateau of this magnificent country, outside the capital city of San Jose. Visit a coffee plantation, an herb farm that produces more than 2 tons a week for export, the world's largest producer of tropical flowers, a spice farm, an orchid plantation, a butterfly farm, and a renowned landscape architect's home and private gardens. 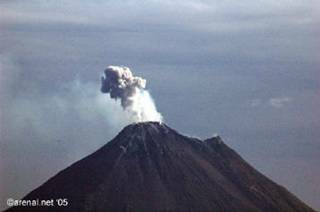 Visit the Poas Volcano, hiking through cloud forest and dwarf trees to peer into the two-mile crater. Stay overnight at Los Lagos Resort at the base of the active Arenal Volcano. Spend three days at La Mansion, an oceanfront resort hotel on the Pacific Coast in Manuel Antonio National Park, with its perfect sand beaches and unspoiled forest growing right to the high-tide mark. With a naturalist guide, tour Rainmaker, a 1,600 acre private reserve dedicated to preserving the varied ecosystem. Return to San Jose for a final night at the Xandari Resort before heading home. According to some, these are the most inviting and stable parts of what was the former Yugoslavia. 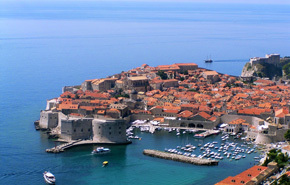 We meet in Dubrovnik, Croatia, for three nights, including a day trip across the border into Montenegro. Then back through Croatia, with one night in Split and two in Zagreb. with stops along the way. 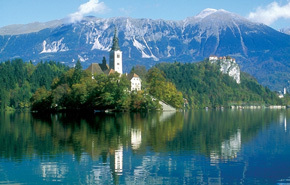 The tour concludes in Slovenia, the most “western” of the countries on this itinerary. It was the great Slovenian architect Jože Plecnik (1872-1957), who began his career in Vienna and Prague and then established himself above all in Ljubljana, whose wonderful architectural achievements gave that city a noble new appearance. Spend two nights in the capital city of Ljubljana and enjoy an excursion to beautiful Lake Bled on the last day of the tour. Four days in London to discover exciting new buildings of the new Millennium juxtaposed with centuries-old architecture, from the likes of Sir Christopher Wren to Sir Norman Foster. Explore with local architects and historians the new architecture in the ancient center of London as well as the recently-developed Docklands , where sleek modernism and new business coexist with maritime and industrial-age history in this Thames-side area of London. Discover Chipping Campden, Stow-on-the Wold, Bourton-on-the-Water, and Cheltenham, an 18th century spa town where high society once flocked to “take the waters”. Tour nearby Warwick Castle , the finest medieval castle in England and the crowning jewel of the Cotswolds, and spend a day in Stratford-upon-Avon , the famed quaint town where William Shakespeare was born. Conclude with a visit to Windsor Castle , and a final night in Windsor Village. 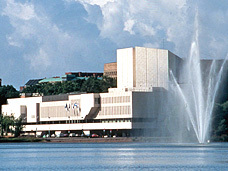 This extensive tour takes us through Aalto's early classical works, heroic buildings of the 30's, and his golden period of the 50's, travelling through southwest Finland for several days. Visit Paimio, Turku, Seinajoki, Alajarvi, Jyvaskyla, and Tampere. Then return to Helsinki for a day to study design: fabrics by Marimekko, glass and ceramics by Arabia, the Kiasma Museum of Contemporary Art by Steven Holl... and more! We conclude with a visit to the beautiful countryside of Hvittrask, a collective artists' villa built by a wilderness lake by the architecture team of Eliel Saarinen-Herman Gesellius- Armas Lindgren. This special tour explores the best of Finnish architecture and architects: works by Alvar Aalto and Eliel Saarinen, and contemporary Finnish architects including Reima Pietilä, Juha Leiviskä. Aarno Ruusuvuori, and others. The first four days, discover Finland's capital city, Helsinki's historical center, featuring the Neo-classical Senate Square, and the City Hall originally built by Carl Engel (1833) as a club and hotel. 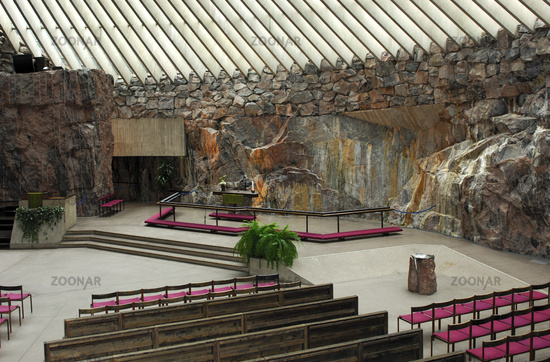 Tour the Rock Church, Eliel Saarinen's Helsinki Railway Station (1909), and the Sibelius Monument; Alvar Aalto's studio and Finlandia Hall (1969-71); see Tapiola Garden City and neighboring Otaniemi centre of technology. Discover new areas like the Ruohonlahti maritime district and visit the Riihimaki Glass Museum, and the Kiasma (Museum of Con-temporary Art) by American architect Steven Holl. Discover Hvittrask, an artists' commune in a picturesque setting, designed by three architects – Herman Gesellius, Armas Lindgren, and Eliel Saarinen. 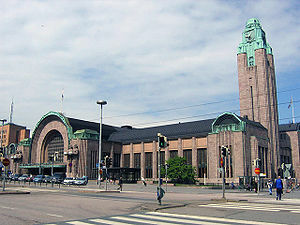 The second part of this tour takes us out of Helsinki, to focus on Alvar Aalto, through early classical works, heroic buildings of the thirties, and his golden period of the fifties. 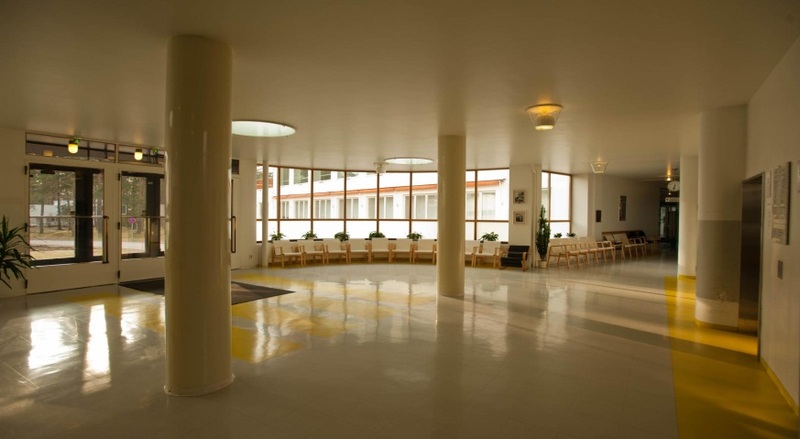 Highlights include Aalto's renowned Paimio Sanatorium, and Villa Mairea, a private retreat designed for Harry and Maire Gullichsen (1938-39). We begin in Marseille, and spend our first night at Hotel Le Corbusier, in the Unité d'Habitation, designed by Le Corbu himself and erected between 1947-1952 to house families of construction workers who were rebuilding Marseille's war-damaged port. 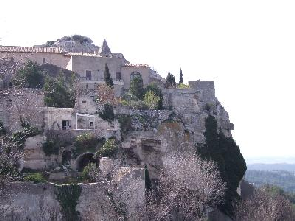 Discover Provence, the magical land where many great artists of the late 19th – early 20th centuries (Cezanne, Van Gogh, Picasso, Renoir, Matisse, etc.) loved to paint. Stay three nights based in Aix-en-Provence, the birthplace of Paul Cezanne. Explore many of the sites frequented by Cezanne, including the famous Mont St-Victoire that he painted so often. Enjoy an excursion to Chateau La Coste, a private vineyard and world-class setting for contemporary art and architecture. Tadao Ando, Louise Bourgeois, Jean Prouvé, Calder, Jean Nouvel, Frank Gehry and others are part of the Open air exhibition. 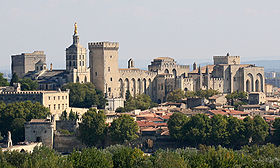 Then three more nights based in Avignon, an ancient city that was the seat of the Papacy in the 14 th century. Visit the typically provençal town of Saint-Rémy-de-Provence and stop at Saint-Paul-de-Mausole to tour the clinic where Van Gogh lived in 1889. Marvel at Les Baux de Provence, one of the most photogenic hill towns in Provence, and conclude our tour with a stroll through Arles, where Van Gogh once had his studio in the famous Yellow House. We’ll begin in Normandy, staying two nights in the port of Honfleur, with visits to Monet’s Giverny, Joan of Arc’s Rouen, and Le Havre. Continue on to Bayeux, world famous site of the unique Bayeux Tapestry made in the 11th century to celebrate the conquest of England by William the Conquerer.& See World War II Allied landing beaches and the Omaha Cemetery. Stay for two nights in Port-en-Bessin, and drive to the spectacular abbey of Mont St. Michel. 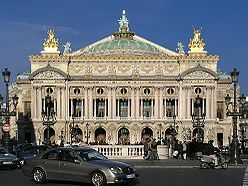 Finally, four nights in Paris - tour must-see venues such as the Louvre, the newly renovated and reinstalled Musee d'Orsay, the Opera Garnier, and enjoy special private tours to Le Corbusier's Maison La Roche and Villa Savoye. Extra: a new gem of contemporary architecture, the Cite de la Mode et du Dessin, bu Parisian architects Jakob + MacFarlane. 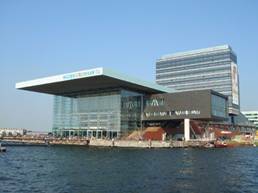 An exciting Art and Architecture Tour! Fly to Nice for three nights exploring the picturesque towns of St. Paul de Vence, Antibes, Cagnes-sur-Mer, where Picasso, Renoir, Chagall, Matisse, and others loved to live and paint – Then continue for three more nights based in Aix en Provence, the land of Cezanne, Van Gogh, and superb, ancient Roman architecture in Avignon, Arles, and Les Baux de Provence. Take the TGV high-speed train from Avignon to Paris, for a four-night stay and visits to the great art venues of the City of Light. 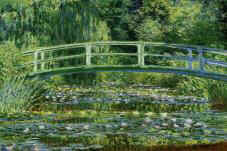 Also, special early entry to Monet’s home and gardens at Giverny, before they open to the public. 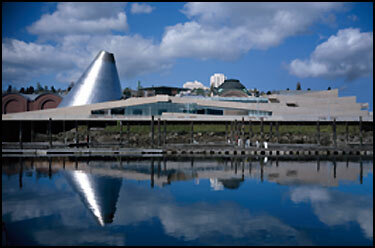 For architecture enthusiasts, we plan visits to some great contemporary buildings, too. Five nights based in Biarritz, on the French side of the border with Spain. Explore the French Basque Country as well as two days crossing into Spain: see the Guggenheim Museum Bilbao by Frank Gehry, and the Chillida Leku outside San Sebastian. Drive across southern France eastward toward Provence, stopping in Carcassonne en route. Four nights based in Aix en Provence, the heart of Paul Cezanne's territory. Join us for this very special tour to Berlin, and experience the excitement of the proliferation of new architecture as a construction boom followed the fall of the Wall in 1989. See the stunningly Post-Modernist I. M. Pei wing that was added to the old German Historical Museum; Frank Gehry's spectacular DG Bank Building near the Brandenburg Gate; Sir Norman Foster's Parliament Building within the Reichstag; Daniel Libeskind's aluminium-clad Jewish Museum, in the form of a silver lightning bolt "reviving what was destroyed". The innovative buildings of Potsdamer Platz mark Berlin as an international city, but not forgetting the old, including: Alvar Aalto’s Flats at Hansaviertel, 1955-57; Karl Friedrich Schinkel’s Altes Museum, 1823-1830; Ludwig Mies van der Rohe’s New National Gallery, 1962-1968. And much more! 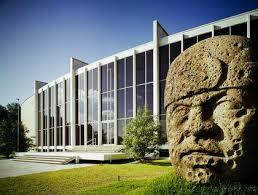 After five nights in Berlin, we travel to Dessau for two more nights to visit the Bauhaus Foundation in depth. Constructed in 1925-26 from plans by Walter Gropius, the Bauhaus designs united art and technology and ushered in a modern industrial culture. Return to Berlin for flights home. The ten day tour begins in London for FOUR DAYS, focusing on contemporary architecture with expert local guides. Discover the latest architecture in the City of London, continuing the next day on the new Jubilee Underground line to the Docklands, on the eastern end of London. The Docklands, a deteriorating shipping area along the Thames, recently underwent a massive redevelopment. 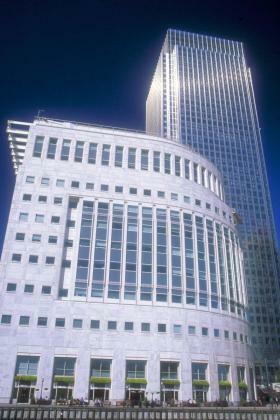 Now Canary Wharf is a thriving and vibrant center for business and banking, and the train stations were designed by foremost British architects, such as Sir Norman Foster and Sir Richard Rogers. Also see the London Eye ferris wheel erected to celebrate the Millennium, the new Tate Modern art museum designed by Swiss architects Jacques Herzog and Pierre de Meuron in the former Bankside Power Station. Then fly to Edinburgh for the next three days. 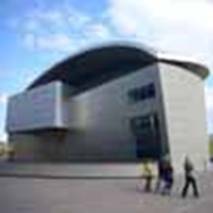 Our Scottish Guide will show us the highlights of Edinburgh by coach and on foot: Edinburgh Castle, the Royal Mile, and the Museum of Scotland, with a private tour led by architect Peter Wilson. Also, a special tour to see the new Scottish Parliament. 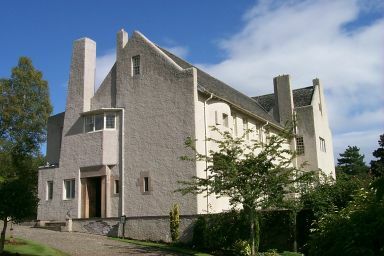 There will be a half-day excursion in the countryside of East Lothian, visiting some beautiful homes and gardens: Gosford House, the private home of the Earl and Countess of Wemyss, famous for its alabaster interior; Greywalls Hotel (1901) by Edwin Lutjens, with garden by Gertrude Jekyll; Arniston House, an 18th century Palladian villa by noted architect William Adam); and the 12th century substantial ruins of Dirleton Castle. And finally, for some, the highlight of the entire tour: three days in Glasgow exploring most of the work of Glasgow-born architect Charles Rennie Mackintosh (1868-1928). After visiting his masterpiece, Hill House, designed for publisher William Blackie in Helensburgh, explore the magnificent countryside of the Trossachs, and Loch Lomond, on the last day of the tour. Meet in Tel Aviv to begin with a two day tour in the modern capital city of Israel. 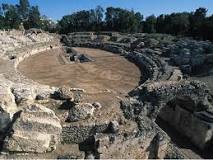 Then head north to explore the astounding Roman and Crusader ruins of ancient Caesarea. Continue along the coastal road to Zichron Yaacov, one of the first modern Zionist settlements. Then, on to the sparkling port city of Haifa; View the golden-domed Bahai Shrine and the colorful Persian Gardens before departing Haifa. Visit Safed, one of Judaism's holiest cities, where Kabbalah flourished during the golden age. 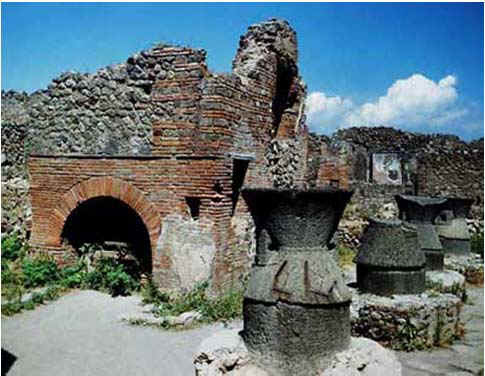 Drive to Capernaum to see the ruins of the ancient synagogue dating back to the 4th century. Then, ascend the strategic Golan Heights; continue to a Golan winery for wine tasting. On to Katzrin, Capital of the Golan. 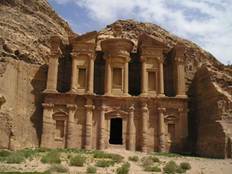 Stay in Jerusalem on Friday night and enjoy a Shabbat dinner, then proceed south to Eilat, our entry point for an optional tour to the incredible lost city of Petra, in Jordan. Return to Jerusalem for four days, to discover the ancient history and the contemporary manifestation of life in the cradle of civilization. 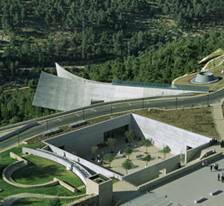 Come with us on this unique tour of artistic, architectural, and cultural ISRAEL! Meet in Florence for the start of this nine day adventure in beautiful Italy! Stay five nights in FLORENCE at a charming boutique hotel and explore the city's many artistic and historic venues on foot. Discover works by Michelangelo, Donatello, Cellini, and the most revered artists of the Renaissance. 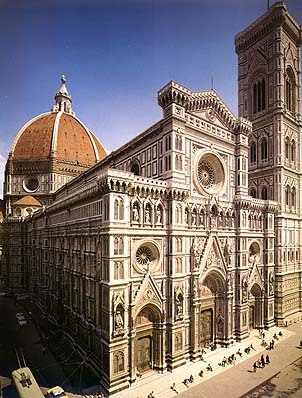 Several excursions will take us to medieval Siena, and historic San Gimignano, and northwest to Lucca and the hilltop hamlets of the magnificent Appuan Alps. 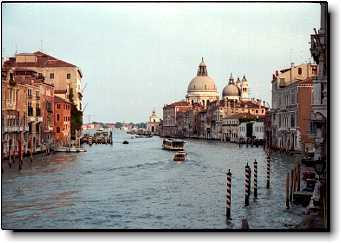 Then travel by coach to romantic VENICE, stopping at the medieval cities of Ferrara and Padova en route. Stay four nights in Venice at another charming boutique hotel. Tour the exquisite sites of Venice, the Grand Canal, the Doge's Palace, Basilica San Marco, and the renowned Peggy Guggenheim Collection of modern art. Spend a day in the countryside of the Veneto exploring some of the elegant villas designed by architect Andrea Palladio in the 16th century. Meet in Rome for three nights in the Eternal City, exploring the treasures of the Eternal City and the Vatican, as well as discovering exciting new architecture by architects like Richard Meier, Zaha Hadid, Renzo Piano, and Rem Koolhaas. Then on to Pompeii and Herculaneum, two of the most incredible historical sites in the world, stopped in their tracks in AD 79 when Mt. Vesuvius erupted and buried them alive. Arrive in Sorrento late in the day, and settle into our hotel for the next four nights. From here, we visit the breathtaking picturesque villages of the Amalfi Coast and the Island of Capri. Conclude in Naples for one last night, and then, arrivederci! Experience the local life and culture of the rural hill towns of the Garfagnana, a beautiful land that lies between the Apennine Mountains to the east and the Apuan Alps to the west, in the valley of the Serchio River. 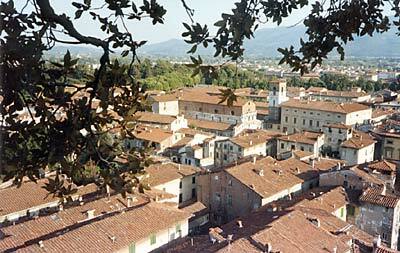 Discover Lucca, completely surrounded by the longest (4.5 k) intact medieval walls in Europe. 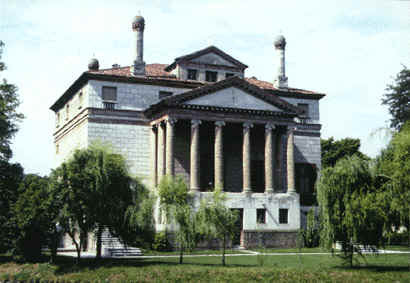 Outside the city, tour elegant country villas and gardens, some still owned by wealthy Lucchese families, in residence. 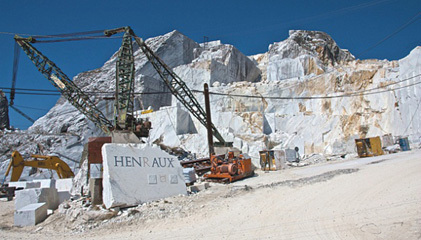 Drive through the breathtaking Carrara Mountains, visit a marble sculpture studio and a working quarry in the region where Michelangelo got his stone during the Renaissance. 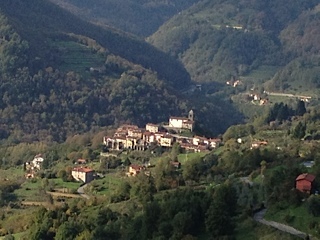 Stay five nights at the beautiful Renaissance Tuscany resort with spectacular views of the Garfagnana, then move on to the Mediterranean coast for three nights, exploring the marble and sculpture centers of Carrara and Pietrasanta, Forte dei Marmi, and the renowned cliffside villages of the Cinque Terre. 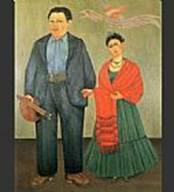 Seven day tour to Mexico City, focusing on the art of the great 20th century muralists Diego Rivera, Jose Orozco and David Siqueiros, as well as the artist Frida Kahlo, who was married to Diego Rivera. This tour is an exploration of the sites frequented by the renowned artist couple, and an immersion in the culture that shaped and surrounded them. There is also a day excursion to the Ancient Pyramids of Teotihuacan, as well as visits to contemporary Mexican museums and architecture, including the National Museum of Anthropology. Two nights at a charming Art Nouveau hotel in central Amsterdam, two half days and one full day of touring contemporary architecture with our local architect guide, including a surprise visit to a sculptor's studio, where she lives and works on the boat she rehabbed 25 years ago. Three nights in Lisbon, two nights in Valencia, two nights in Barcelona, and two nights in Bilbao. 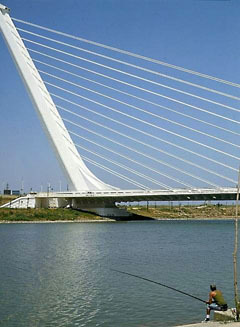 See architecture by Calatrava in each of these cities. 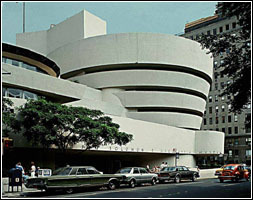 Also: explore other great works of art and architecture such as Frank Gehry's Guggenheim Museum Bilbao. Discover the fantastic modernist architecture of Antoni Gaudi, and see Mies van der Rohe's elegant pavillion designed for the 1929 International Exposition, in Barcelona. Peter the Great sailed from Moscow along the Volga River to St. Petersburg approximately 300 years ago on a quest to take Russia from the "Dark Ages" into the"Enlightened Age." Today you have a chance to follow his path, celebrating the rich history and traditions of Russia, yet witnessing the flourishing entrepreneurial spirit of a new market-driven economy. Experience these legendary cities rich in culture, tradition and royalty. And as you travel along the river, discover another side of Russia with its remote forested islands, vast lakes, tiny summer houses, quaint lifestyles and pastoral landscapes. On your journey, meet the people who express the true soul of this proud country. English-speaking guides accompany you along the way, so you can understand and experience Russian culture, cuisine and people. Cruise in the comfort of our intimate ship - the MS Litvinov, a friendly Russian-style ship that offers comfortable amenities - as we highlight the diverse influences that have shaped this intriguing nation. Goethe said, To have seen Italy without having seen Sicily is to not have seen Italy at all, for Sicily is the clue to everything. More UNESCO World Heritage sites (7) than any region in the world: Greek temples and theatres, fine Roman mosaics, World Heritage baroque palaces, hilltop stone villages, unique Arabic-Byzantine story-telling in gold, myths and legends on mountaintops by the blue, blue sea, and absolutely great cooking. 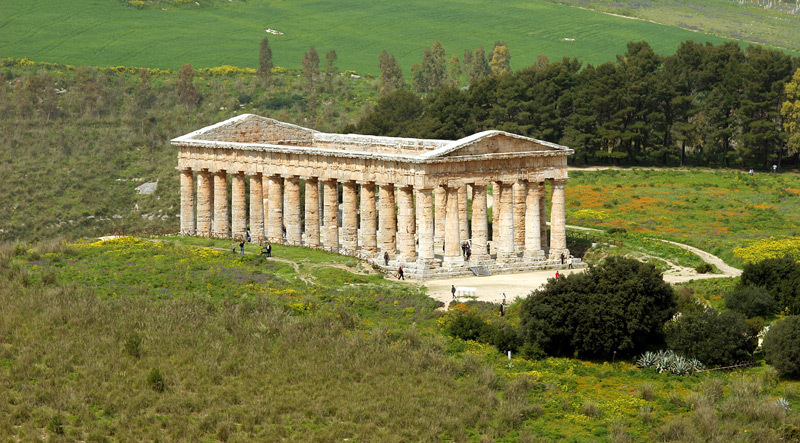 Temple of Segesta, built between 420-430 BC by the Elymians, an indigenous population of Sicily who also founded Erice. 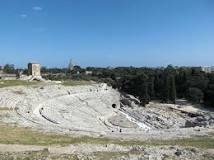 "The best way to see Sicily is on a circular route, with Catania as the place to arrive and Siracusa the place to start. The east of the island is where it all began: prehistoric Sicily, the coast where the Greeks arrived, and Syracuse, where the first and greatest golden age of Sicily flowered. Then we follow a circular tour of the greatest sights of the island, returning to the east a restful epilogue at Taormina, before you leave for home from Catania. 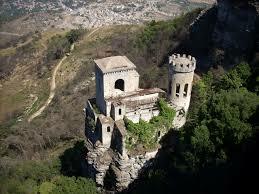 This is how you might understand Sicily as you enjoy her, in a relaxed and comprehensible chronological order." 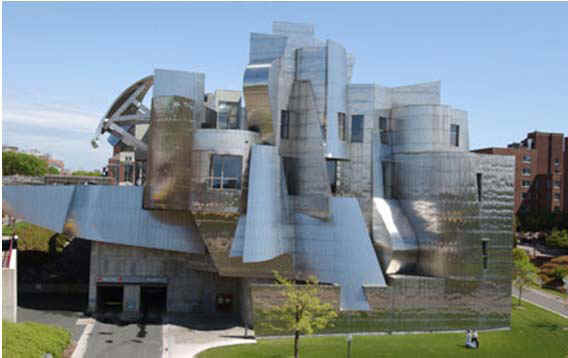 Eight day trip to Spain especially to see the exciting new Frank Gehry-designed Guggenheim Museum Bilbao. Tour starts with three nights in Madrid (the Prado, the contemporary Reina Sofia, Thyssen-Bornemisza Collection, El Escorial), etc., etc.! From here, there will be a day trip to Toledo. Next, two nights in Bilbao (Gehry’s Guggenheim, an elegant pedestrian bridge and a brand-new airport by Spanish architect Santiago Calatrava, and subway stations designed by British architect Sir Norman Foster, a day in San Sebastian), Enjoy an excursion to the Rioja wine region, featuring wineries by Frank Gehry, Santiago Calatrava, and Zaha Hadid. And conclude with three nights in Barcelona featuring works by Antoni Gaudi (see Casa Mila at right), Mies van der Rohe, Joan Miro, Pablo Picasso, and an excursion to Salvador Dali's birthplace in Figueres on the Costa Brava. 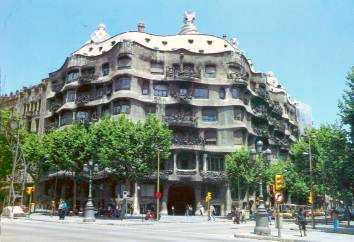 Meet the group in BARCELONA to begin our tour with highlights of Architecture by Modernist Antoni GAUDI and contemporaries, and Art by native Catalan artists Joan MIRO and Pablo PICASSO. Next stop GRANADA, home of the incomparable Alhambra Palace, then on to ancient city of CORDOBA en route to SEVILLE. Spend three nights in this vibrant capital of Andalucia exploring it's fascinating Roman, Moorish, Judaic and Christian past, and some contemporary developments that continue to make this one of the loveliest cities of Spain. In Toronto, explore the city’s HISTORIC & CONTEMPORARY ARCHITECTURE, and take a day's excursion back across the Canadian border to nearby Buffalo, NY, to see the renowned Albright-Knox Art Gallery, and Frank Lloyd Wright masterpieces: the Darwin D. Martin House (‘04) (see image above), the Barton House (‘03), and Graycliff (‘27), the Martins’ summer estate. Stop to marvel at Niagara Falls and dine at the Pinnacle Restaurant. Two days/nights in ZURICH, including fine examples of urban architecture, among others: the Prime Tower by Gigon Guyer, the highest skyscraper in Switzerland at a height of 126 meters (413 ft); the revolutionary new Leutschenbach School by Christian Kerez; the Leimbach development of residential buildings by Pool Architekten; and the City of Neubühl (1930). Excursion to Ronchamp, France, to see the iconic Chapel of Notre Dame du Haut by Le Corbusier, with new buildings (a small visitors' center and convent for the Poor Clare nuns who live on the grounds) by Renzo Piano. Stop in Bern to see the Paul Klee Museum by Renzo Piano and the Westside Commercial Center by Daniel Libeskind en route via beautiful Interlaken and Thun to LUZERN for two nights. In Luzern, visit the congress center (Jean Nouvel), the Migros shop (Roger Diener), and the railway station (Santiago Calatrava). Then continue to LUGANO for final two nights, with a detour first to see the magnificent Therme Vals by Peter Zumthor. On our last day, tour works by Mario Botta in the region of Lugano. Return to Zurich the next day for flights home, or continue on your travels. You don't want to miss this tour! Meet the group in Anchorage, Alaska. Two nights in Anchorage - see a residence by John Lautner, and architecture by William Bergenthal. One night at Talkeetna Lodge, spectacular views of Mt. McKinley. 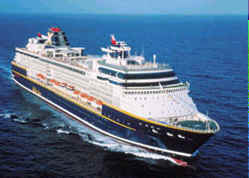 Seven-night Celebrity Cruise from Seward to Vancouver B.C. Enjoy the first day cruising from Seward, AK to Hubbard Glacier, then four days calling at ports of Juneau, Skagway, Icy Strait Point, and Ketchikan, before cruising the last day through the Inside Passage to Vancouver, BC, Canada. 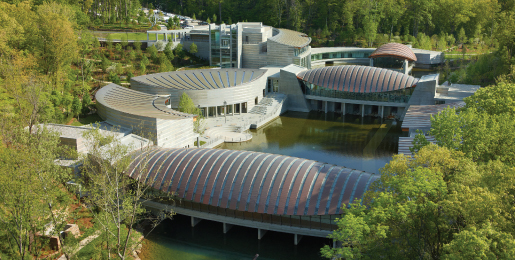 Crystal Bridges, founded by Alice Walton, is a nonprofit organization focused solely on creating a world-class museum for the benefit of the public. Located in Bentonville, Arkansas and designed by Boston-based architectural firm MOSHE SAFDIE and Associates, Inc., the museum houses art galleries, lecture and concert venues, meeting places, educational spaces and library resources. 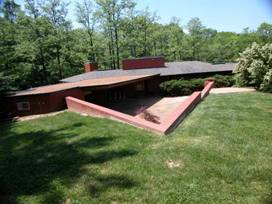 Crystal Bridges Museum of American Art has recently acquired a rare FRANK LLOYD WRIGHT house, known as the Bachman Wilson House. Built in 1954 along the Millstone River in New Jersey, the house was purchased by architect/designer team Lawrence and Sharon Tarantino in 1988 and meticulously restored. As the rising river threatened, the Tarantinos determined that selling the house to an institution willing to relocate it was the best option for its preservation. Crystal Bridges acquired the home in 2013, complete with all interior fixtures and furnishings. The building has been disassembled and beautifully reconstructed on a perfect site on the grounds of Crystal Bridges. Over the years, and before the construction of Crystal Bridges in Bentonville, many of you have had the opportunity to join one of my more than half a dozen E. FAY JONES tours, reason enough for a visit to Northwest Arkansas. 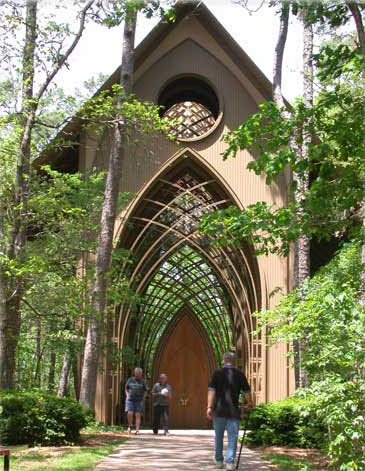 Now, we will also take several days for an in depth exploration of the architecture of E. Fay Jones, who won the AIA Gold Medal in 1990 for his exquisite Thorncrown Chapel (Eureka Springs AR, 1980) and designed many private homes in the vicinity of Fayetteville. Meet in Savannah for a great weekend getaway, and continue directly to Beaufort, South Carolina. The next day, visit the Auldbrass Plantation, with special arrangements for our group to enter the property early, before it opens to the public. This event is sponsored by the Beaufort Open Land Trust every other year. There will be a picnic lunch on the grounds of nearby Twickenham Plantation. In the afternoon, return to Savannah, Georgia, and tour the Telfair Museum of Art, which includes the Telfair Academy of Arts and Sciences (permanent collection), the new Jepson Center for the Arts (20th-21st century art), and the historic Owens-Thomas House. Discover Savannah on a walking tour through Savannah's Historic District. Afternoon bus tour of Mid-Century Modern Savannah. 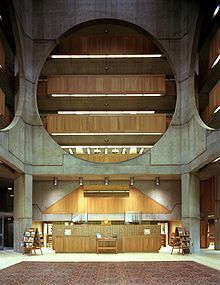 With Boston as our home base, travel by coach through beautiful New England, exploring art and architecture. 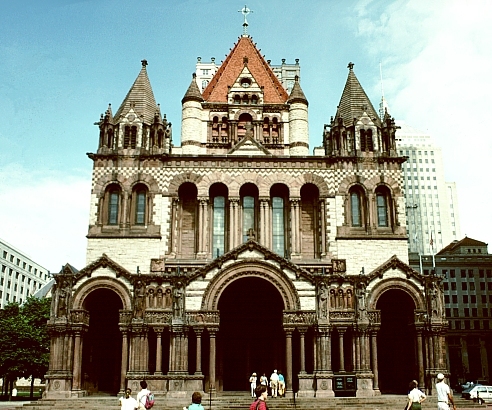 In Boston, visit the Museum of Fine Arts, the Isabella Stewart Gardner Museum, the Harvard Art Museums, and Henry Hobson Richardson's Trinity Church (see above) in Boston’s Back Bay. In Salem, famous for the witch trials of 1692, visit the Peabody Essex Museum. In Gloucester, the Cape Ann Museum and the Sleeper-McCann House (Beauport). In Lincoln, see the Gropius House, designed for his family by German-born architect Walter Gropius, who came to the Boston area to head Harvard's School of Architecture before the World War II. Also in Lincoln, discover the DeCordova Museum and Sculpture Park, a contemporary art museum in a beautiful setting. Travel to neighboring Rhode Island to explore Providence, the capital of the First State, and on to Newport, to see The Breakers, the summer home of the Vanderbilt family, and other famed “cottages”. Chicago is not only the birthplace of the skyscraper, it is also where most of the innovations in early skyscraper design and technology originated. Then, immediately after World War II, Chicago reestablished itself as a world capital of Modern architecture. Enjoy an out-standing Architecture River Cruise, as Chicago Architecture Foundation-certified expert docents interpret the world-class architecture along the Chicago River, and discover great buildings in the Historic Loop on foot: the Auditorium, the renowned masterpiece of Louis Sullivan and Dankmar Adler (1886-89); the Art Institute of Chicago, originally built for the World Columbian Exposition in 1893 by Shepley Rutan & Coolidge, with Modern Wing addition in 2009 by Renzo Piano; the Pritzker Pavilion designed by Frank Gehry, in Millennium Park. Spend a day in Oak Park, home to the world's largest collection of Frank Lloyd Wright-designed buildings and houses, with 25 structures built between 1889 and 1913. Tour Wright’s Home & Studio (1889), and Unity Temple (1905) in Oak Park, and the Robie House (1908) on the campus of the University of Chicago in Hyde Park. Spend another day traveling up to Milwaukee to see the Milwaukee Art Museum (Eero Saarinen 1957; David Kahler 1975; Santiago Calatrava, 2001, and latest addition 2015. Stop en route in Racine to see Frank Lloyd Wright’s Johnsom Wax building and Wingspread, built for Herbert F Johnson. 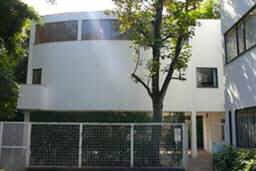 Visit exciting contemporary architecture in Fort Worth and Dallas in the company of Ft. Worth architect Mark Gunderson. 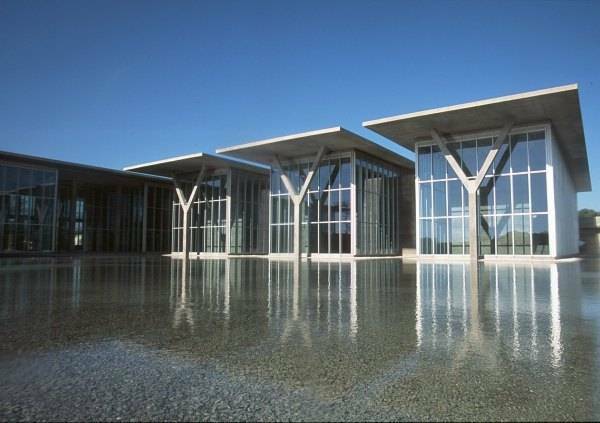 See buildings by four AIA Gold Medal winners in the Dallas/Fort Worth area: Louis Kahn; E. Fay Jones; Philip Johnson; and I. M. Pei. 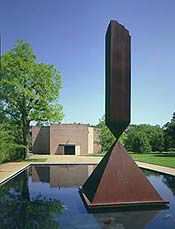 In Fort Worth, see the new Modern Art Museum by Tadao Ando, and in Dallas, major buildings by Frank Lloyd Wright (Dallas Theater Center), I. M. Pei, (Meyerson Symphony Center), Edward Larrabee Barnes (Dallas Art Museum), and the splendid museum and sculpture garden by Renzo Piano (Nasher Sculpture Center). Private homes, with great art collections, by architects Antoine Predock, Steven Holl, Richard Meier, Paul Rudolph, and others. Start with two days in Jacksonville with Robert Broward, a former Taliesin architect who worked with Frank Lloyd Wright. He’ll show us many of his own designs, plus the work of Prairie architect Henry John Klutho, who was deeply influenced by Wright and Louis Sullivan. Next, a day in St. Augustine, the oldest city in the nation, and then on to Lakeland for two more days. 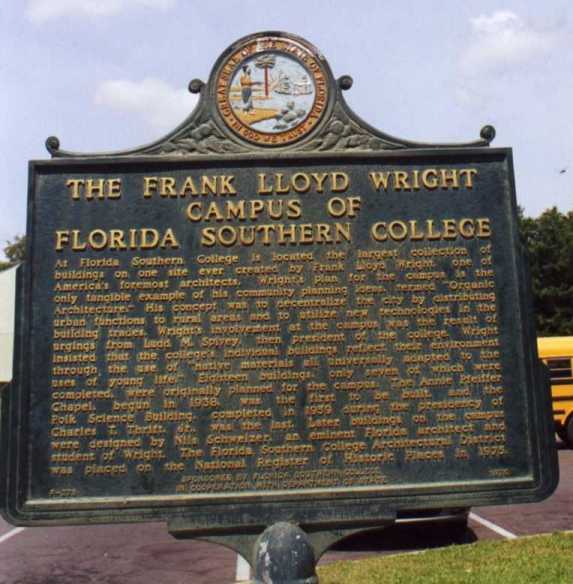 The largest concentration of Frank Lloyd Wright buildings is at Florida Southern College in Lakeland, including chapels, library, administration building, seminar buildings, classroom buildings, and connecting esplanades. Meet group at the Tampa Airport, and begin with an overview of Tampa's art and architecture, including a stop at the new Tampa Museum of Art. 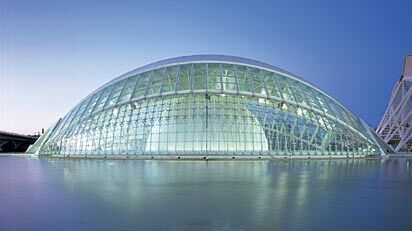 Also see the new Salvador Dali Museum in nearby St. Petersburg. Explore the work of architects who collectively became known as the Sarasota School of Architecture. 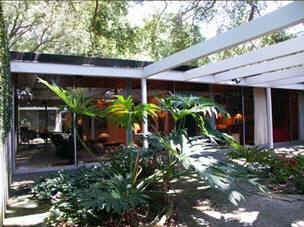 Their "Florida Modern" style flourished in the 50's, led by Paul Rudolph (Cohen House photo above right) and Ralph Twitchell, followed by Gene Leedy (Leedy House photo above left), Mark Hampton, Tim Seibert, Carl Abbott, Guy Peterson, and others who are still active today. 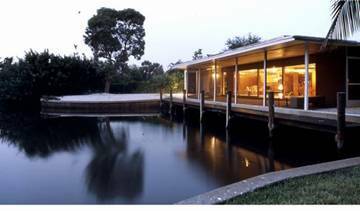 Visit homes by many of the above architects, in Sarasota, Winter Haven, and Lakeland, Florida. Also in Lakeland, see the complex of buildings designed by Frank Lloyd Wright at Florida Southern College. Hawaiian architecture is a distinctive style of architectural arts developed and employed primarily in the Hawaiian islands of the present-day United States — buildings and various other structures indicative of the people of Hawaii and the environment and culture in which they live. Hawaiian architecture is said to tell the story of how indigenous native Hawaiians and their complex society in ancient times slowly evolved with the infusion of new styles from beyond its borders, from the early European traders, the visiting whalers and fur trappers from the Canadian wilderness, the missions of the New Englanders and French Catholics, the communes of the Latter Day Saints from Utah, the plantation laborer cultures from the Orient to the modern American metropolis that Honolulu is today. 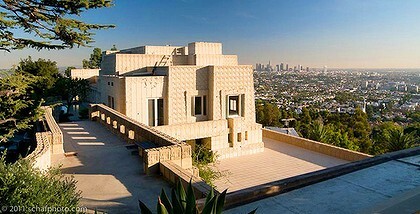 Frank Lloyd Wright designed two houses, both adapted after his death by the Taliesin Architects. 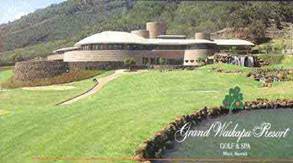 The Grand Waikapu Country Club on Maui was originally designed as a home for Marilyn Monroe, and a Hemicycle House on the Big Island of Hawaii was originally designed for a site in Pennsylvania. In addition to discovering the architecture of Honolulu, we'll visit art venues including the Contemporary Art Museum, the Honolulu Academy of Arts, and Doris Duke's spectacular home, Shangri-La. On the Big Island, there will be a full day to explore Hawaii Volcanoes National Park. The Menil Collection designed by Renzo Piano, the Rothko Chapel, the private home that John and Dominique de Menil had built for them by Philip Johnson, and the Asia Society Texas Center by Yoshio Taniguchi. 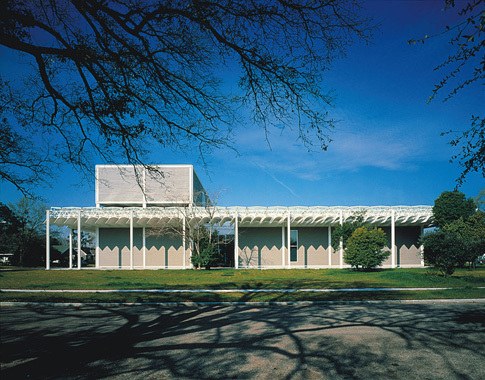 The Museum of Fine Arts boasts two additions (1958 and 1974) by Ludwig Mies van der Rohe; the Beck Building by Rafael Moneo; and the Cullen Sculpture Garden by Isamu Noguchi. Also part of the Museum of Fine Arts, tour the Bayou Bend Collection and Gardens, designed by popular Houston architect John Staub. Four days of touring around Iowa by private coach to see buildings by Frank Lloyd Wright, Louis Sullivan, Walter Burley Griffin, the Saarinens, and more! With the opening of the Mirage more than ten years ago, the current wave of fantasy architecture was launched, and there are no signs of this trend slowing down. Hotel design has been increasingly extravagant, with fine art becoming more and more relevant. The Guggenheim Museum has recently opened two museums inside the palatial Venetian, both designed by internationally acclaimed Dutch architect Rem Koolhaas. The Hermitage-Guggenheim Museum showcases intimate exhibitions from the holdings of both museums, while the Guggenheim Museum Las Vegas mounts larger travelling shows. 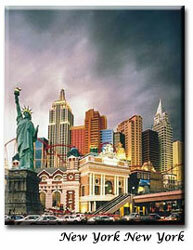 The Bellagio has its own Gallery of Fine Art, exhibiting world class art from exclusive collections. Join us for tours of major hotels and an architecture tour of the City of Las Vegas, focusing on the city’s growing interest in culture, taste and substance. For example, the Clark County Library designed by Michael Graves, with an accompanying art gallery, and the Las Vegas Library designed by Antoine Predock, which also has a children’s Discovery Museum. The Liberace Museum, recently expanded, is not to be missed, as well as the Boneyard, a museum for retired neon signs. Only in Las Vegas! We also plan to visit a couple of private residences of artistic and architectural significance and take in a performance of Cirque du Soleil. Some say this is my “signature” architecture tour. The first time I did this Los Angeles tour was in 1995, and it was so thrilling that I had to repeat it nine times, with some people repeating it twice and even a third time. 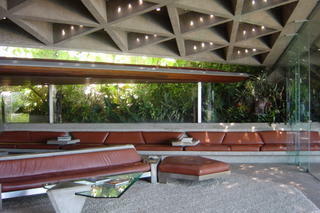 Imagine a full day touring Frank Lloyd Wright sites, a full day of Richard Neutra, a full day of John Lautner! Mix in a concentration of Greene & Greene in Pasadena, a few by Rudolf Schindler, Charles & Ray Eames, Ray Kappe, Lloyd Wright, and other classics, and you can see why this tour is such a favorite. Since my first tour in Los Angeles in 1995, many new buildings have been added to the landscape: Frank Gehry’s Disney Concert Hall, Richard Meier’s Getty Center, Renzo Piano’s LACMA, Rafael Moneo’s Cathedral of our Lady of the Angels, and The Broad Museum, by Diller Scofidio + Renfro. 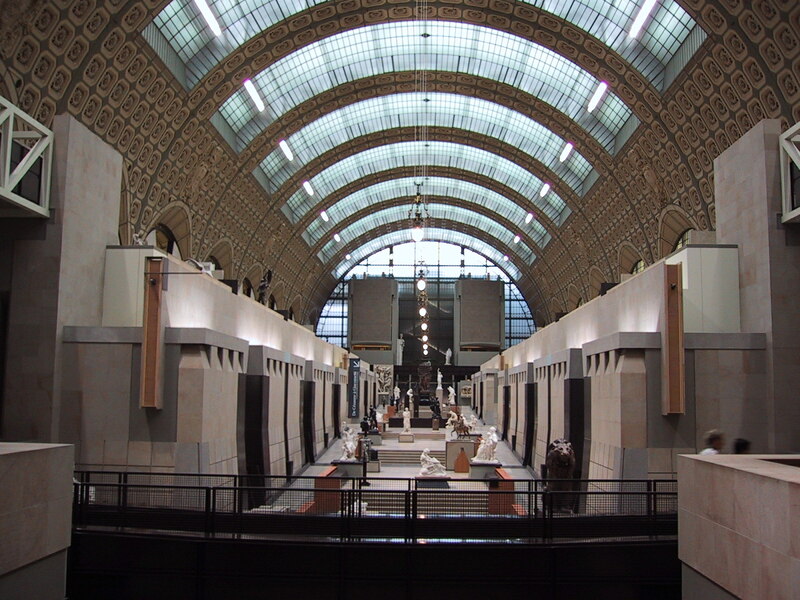 THIS TOUR IS A MUST FOR EVERY SERIOUS ARCHITECTURE ENTHUSIAST! Meet in Boston for a five-day architecture tour, starting with a visit to the Institute of Contemporary Art and significant architecture on the Harvard and MIT campuses. Stay three nights in Concord MA, and tour the Walter Gropius House and other modern architecture by some of Gropius' colleagues and proteges in Lincoln and Lexington. Visit Frank Lloyd Wright's Zimmerman House, owned by the Currier Museum of Art in Manchester NH. On to Cape Cod to see Modern houses on the protected National Sea Shore. Explore Wellfleet, where a summer community of architects, writers, painters and scholars from Boston, Cambridge and Europe flourished in the 1940's. Stay overnight at the beautiful Provincetown Inn at the tip of the Cape. 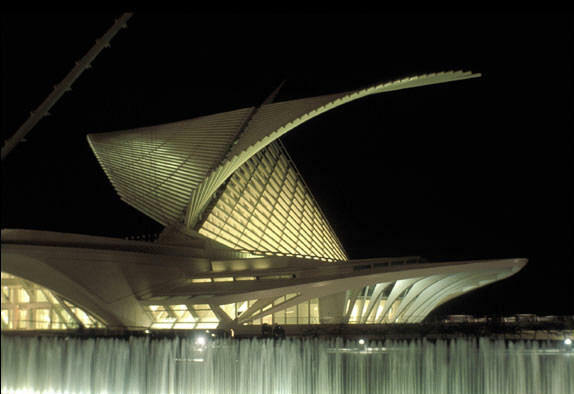 Contemporary architecture in Milwaukee has been spurred by Santiago Calatrava’s expansion to the Milwaukee Art Museum. Get an in-depth tour at the museum and a comprehensive tour of what’s going on in Milwaukee now, and see several great buildings by Frank Lloyd Wright in the area. Stay at the private Milwaukee Athletic Club the first night and then travel to Chicago for two nights at the Sheraton on the Chicago River. In Chicago, enjoy an eye-opening Architecture Cruise on the Chicago River, and a walking tour covering classic works by Louis Sullivan, Frank Lloyd Wright, Mies van der Rohe, and others. See the special exhibition “Seurat and the Making of La Grand Jatte” at the Art Institute of Chicago, and have lunch there with the Director of Publications, Susan Rossen. Special visits to private homes and art collections, too. Contemporary architecture abounds: the Pritzker Music Pavilion (above) in Millennium Park by Frank Gehry, a new student center designed by Rem Koolhaas and dormitory by Helmut Jahn at the Illinois Institute of Technology And so much more. Milwaukee is the destination for this four-day tour, featuring the brand-new spectacular expansion of the Milwaukee Art Museum by renowned Spanish architect Santiago Calatrava. Also see the Bradley Sculpture Gardens, on the suburban estate of the late Peg and Harry Lynde Bradley, prominent art patrons and major donors to the Art Museum collection. Wisconsin is where Frank Lloyd Wright was born, and where you’ll find the largest number of his buildings, spanning 82 years. 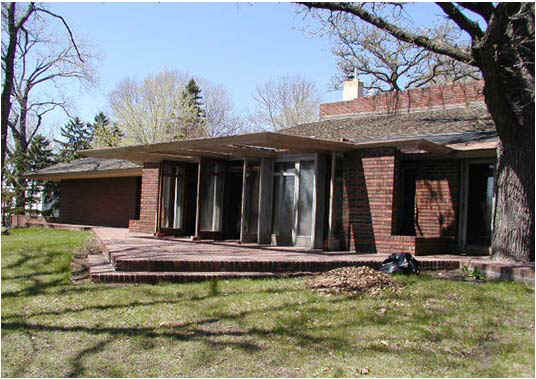 In the Milwaukee area discover unique Burnham Street, where all six houses on the north side of the 2700 block were designed by Frank Lloyd Wright in 1911 as American System Ready-cut prefab plans. In 1916, Arthur L. Richards built four duplexes and two small houses, none supervised by Wright during construction, however. 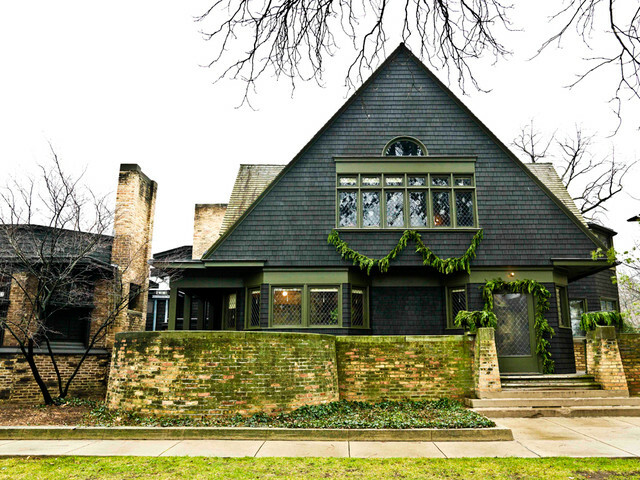 Visit the Frederick C. Bogk Residence (’16) on Milwaukee’s East Side, and see several houses in Milwaukee's northern suburbs. In Racine, visit the S C Johnson Wax Administration Building and Wingspread. In Madison, see the newest Wright building in Wisconsin: the Monona Terrace Community and Convention Center, designed in 1938 but unbuilt for nearly 60 years. 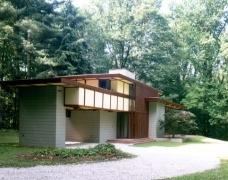 Also visit private Wright-designed homes: the Herbert Jacobs I Residence (’36), the first built Usonian House, the E. A. Gilmore Residence, Airplane House (’08), and others. Recent new architecture: the Minneapolis Institute of Arts addition by Michael Graves; the contemporary Walker Art Center (together with its 11-acre Minneapolis Sculpture Garden) has a new building by Herzog and de Meuron; and the University of Minnesota's Frederick R. Weisman Art Museum, designed by Frank Gehry in 1993 is getting a major expansion, also by Gehry, grand opening October 2011. More new architecture: the new Guthrie Theatre, by Jean Nouvel; the Library by Cesar Pelli,; and much more. 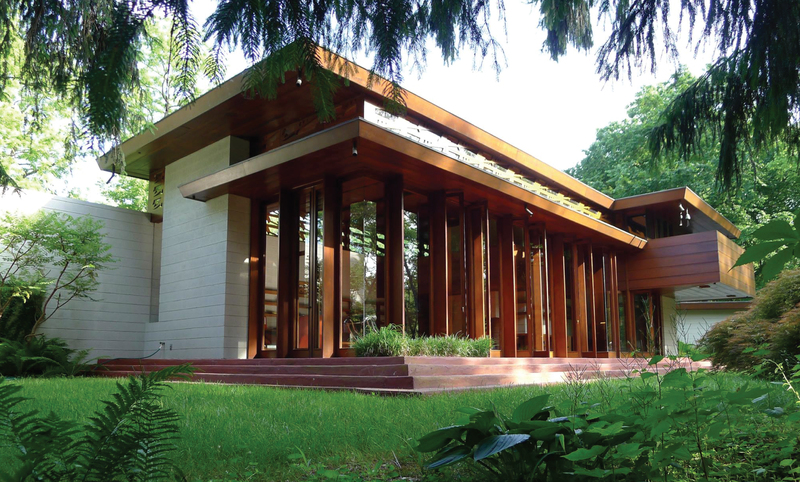 Visit private homes by Frank Lloyd Wright and John Howe, one of Wright's distinguished apprentices, as well as prairie architects William Purcell and George Elmslie. Travel also to see Louis Sullivan's "jewel box" National Farmer's Bank, in Owatonna MN. We will start and end in Boston – and visit some iconic buildings there - but let’s travel further through beautiful New England. Our route takes us to Stonehurst in Waltham MA, the Walter Gropius House in Lincoln MA, Whistler House Museum in Lowell MA, Currier Gallery of Art in Manchester NH, Frank Lloyd Wright’s Zimmerman House (owned by the Currier), and the exquisite Phillips Exeter Academy Library in Exeter NH by Louis Kahn. 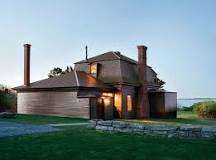 Then on to Maine: Portland Museum of Art, Winslow Homer's Studio in Prouts Neck. 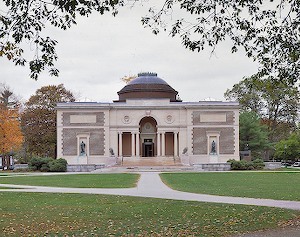 Return to Boston by way of Beauport (the Sleeper-McCann House), in Gloucester MA and the Peabody Essex Museum, in Salem, with 2003 addition by Moshe Safdie, and the Yin Yu Tang, a complete Qing Dynasty house. See the enchanting art and architecture of scenic New Mexico. 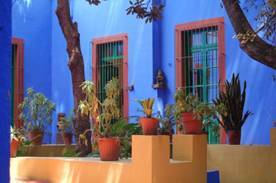 Fly into Albuquerque and travel by private coach directly to Santa Fe for two nights. Then on to Taos for two more nights, stopping first at Georgia O'Keeffe's home and studio in Abiquiu. Also studio visits with artists and artisans, art galleries, museums (including the Georgia O’Keeffe Museum in Santa Fe), an Indian Pueblo, Spanish weavers at Chimayo, and more. Four-day art tour to New York City designed for art lovers. Museum tours, artists' studios, private art collections and a walking tour of the Chelsea art gallery district are planned. Also a unique behind-the-scenes demonstration of how fine works of art are repaired, restored and conserved. Other highlights: a Broadway production; lunch at Tavern on the Green; accommodations at the Empire Hotel, right across from Lincoln Center for the Performing Arts. 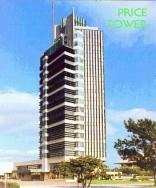 Spend two nights in Frank Lloyd Wright's only built skyscraper, the Price Tower, in Bartlesville, Oklahoma. The building has been renovated and now houses The Price Tower Arts Center and the Inn at Price Tower. Explore this building in depth, as well as the Bartlesville Community Center by Taliesin architect William Wesley Peters. 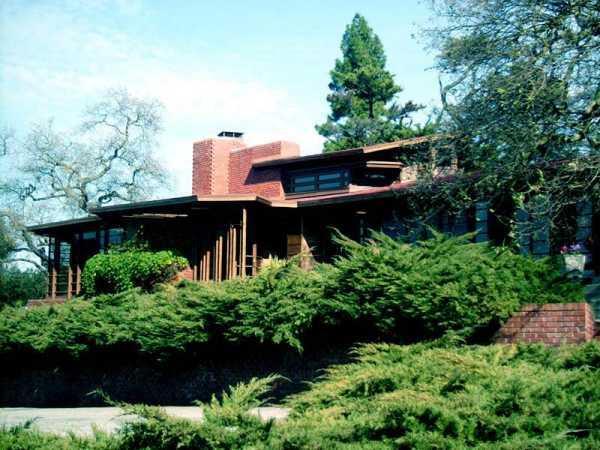 Also in Bartlesville, see a number of residential designs by renowned architect Bruce Goff (1904-1982), recognized as one of the 20th century's great creative geniuses. 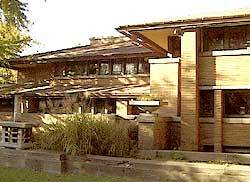 Frank Lloyd Wright designed two wonderful private residences, Hillside in Bartlesville, and Westhope in Tulsa. Also in Tulsa, many fine Art Deco buildings, including Bruce Goff's Boston Avenue Methodist Church and Barry Byrne's Christ the King Church. See the major exhibition BETWEEN EARTH AND HEAVEN: THE ARCHITECTURE OF JOHN LAUTNER, at the Palm Springs Art Museum. Four-day tour of private homes and public buildings, characterized by sleek lines, innovative use of materials and specific siting in the desert landscape. Mid-century modern residential architecture in Palm Springs. 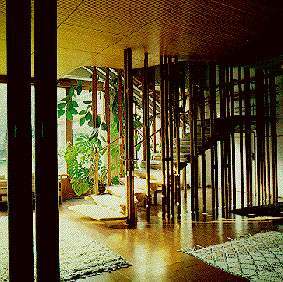 See homes by John Lautner, Richard Neutra, Albert Frey, E. Stewart Williams, John Clark, Donald Wexler, Craig Ellwood, William Cody. Travel into the desert to see the Desert Hot Springs Hotel by John Lautner, the Institute of Mentalphysics by Lloyd Wright, and more! 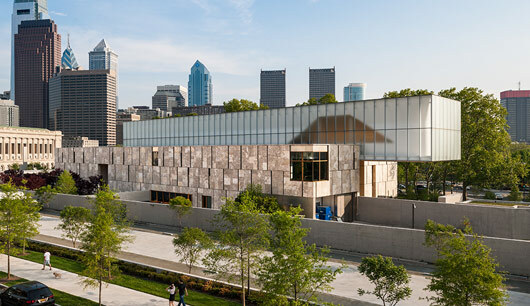 See the newly-relocated home of the Barnes Foundation, now in the heart of Philadelphia's downtown cultural corridor. One of the world's finest art collections has been meticulously installed in its new home (designed by Tod Williams and Billie Tsien), in the same order as it was originally placed by Dr. Alfred Barnes in his Merion Station mansion. 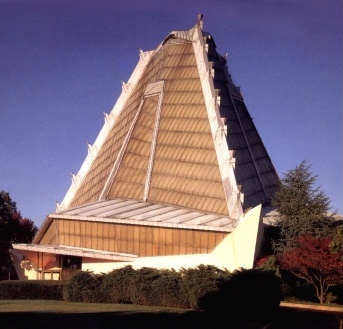 While in Philadelphia, visit the Philadelphia Art Museum; the Pennsylvania Academy of Fine Art; the Rodin Museum; the new National Museum of American Jewish History (designed by Ennead Architects, formerly Polshek Partnership), and the Beth Sholom Synagogue by Frank Lloyd Wright in nearby Elkins Park. Also, on an excursion outside Philadelphia, discover the quirky home of wood craftsman Wharton Esherick, and the New Hope studio of furniture maker George Nakashima. 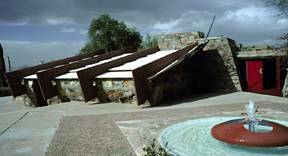 The centerpiece is an in-depth morning at Taliesin West, with an extended guided tour of Frank Lloyd Wright’s home and studio and a desert hike through the natural landscape Wright so loved. Visit Wright’s Grady Gammage Memorial Auditorium as well as Antoine Predock’s Nelson Fine Arts Center, both in Tempe on the Arizona State University campus, and the First Christian Church in Phoenix, designed by Wright in 1950 for another site but built here in 1971. Enjoy dinner and a guided tour at the Arizona Biltmore Hotel, a Wright collaboration. See a number of private Wright-designed homes, including interior visits to as many as possible. If you haven’t been to Phoenix lately (or ever), you will also find exciting new buildings here. Discover contemporary architect Will Bruder, who designed the Phoenix Central Library and the Scottsdale Contemporary Art Museum, and many residences. Learn about cutting edge contemporary architect Eddie Jones, specifically known for his expertise in designing for the desert environment. 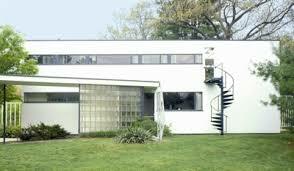 We’ll visit both of these architects in their own homes and see several other buildings by each. 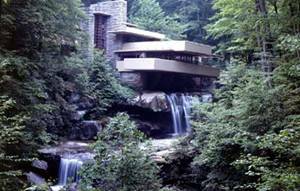 Private in-depth tour of Frank Lloyd Wright's Fallingwater and Kentuck Knob are the highlights of this tour, and now there is another Frank Lloyd Wright house, the Duncan House, which has been reconstructed nearby. Also enjoy an architectural tour of Pittsburgh with Pittsburgh History & Landmark Foundation Director of Historical Collections. And, a day of ART at the Carnegie Museum of Art, the Andy Warhol Museum, and/or the Mattress Factory, a unique contemporary installation space. See buildings by FRANK LLOYD WRIGHT - the Marin County Civic Center, San Rafael, the V. C. Morris Gift Shop (restored by Aaron Green) in Union Square, and several private residences near San Francisco, including the Jean S. and Paul R. Hanna Residence (see below), Stanford, and the Maynard P. Buehler Residence, Orinda. Architecture thrives in the San Francisco area. the California Bungalow style, attributed to Greene & Greene; the Arts & Crafts Movement, which had its roots in mid-19th century Britain with the designs of William Morris, Charles Rennie Mackintosh and others; see work by prominent Bay Area architects Bernard Maybeck, Willis Polk, and Julia Morgan. 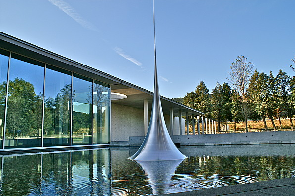 See beautiful art exhibitions in museums of architectural significance: the San Francisco Museum of Modern Art, and the just-reopened Asian Art Museum, and spend a day in the Napa Valley, where art, architecture and wine are presented in harmony at several of the wineries. 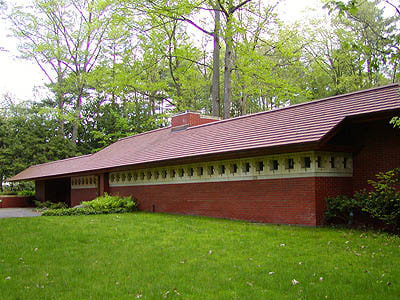 Visit the Frank Lloyd Wright-designed Russell and Ruth Kraus House (1951) in Ebsworth Park, lovingly restored and preserved for the public to enjoy as a house museum, as well as other significant architecture venues, such as the Wainwright Building and the Wainwright Tomb, both by Louis Sullivan. And, of course, we’ll see Eero Saarinen’s great Gateway Arch, the famous landmark of this great city. 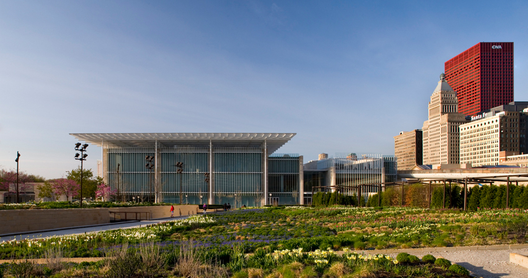 For art lovers, there are the Pulitzer Foundation for the Arts, a breathtaking contemporary building designed by Tadao Ando, 2002; the St. Louis Art Museumin Forest Park, designed by Cass Gilbert (the only permanent building from the 1904 Louisiana Purchase Exposition; and the new Contemporary Art Museum, designed by Brad Cloepfil, 2003. Begin this tour in Canada with two nights in the beautiful city of VANCOUVER, B.C. 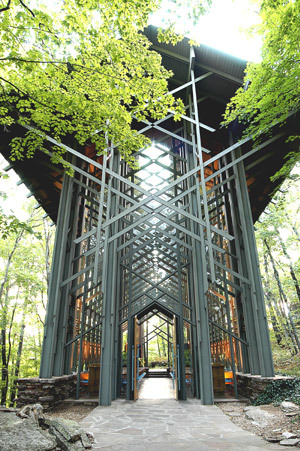 Here we'll look at the modern architecture of Arthur C. Erickson, the only Canadian architect to receive the AIA Gold Medal, in 1986. Holl's new Bellevue Art Museum. Special visit to the DANA-THOMAS HOUSE ('02) by Frank Lloyd Wright, and the LAWRENCE LIBRARY (FLLW '05), Springfield, IL. Also, tours of Wright buildings along the way: First National Bank of Dwight (FLLW '05) in Dwight, IL on Saturday and the Francis B. Little House (FLLW '03) in Peoria, on the way back on Sunday. Overnight at the Springfield Renaissance Hotel. J. M. W. TURNER at the National Gallery (West Building) - The largest and most comprehensive retrospective of Turner's work ever presented in the United States includes approximately 70 oil paintings and 70 works on paper. EDWARD HOPPER at the National Gallery (East Building) - This is the first comprehensive survey of Hopper's career to be seen in American museums outside New York in more than 25 years. IMPRESSIONISTS BY THE SEA at the Phillips Collection - With approximately 60 works by major figures of 19th-century French painting, the exhibition will focus particularly on the work of Claude Monet, and will also feature major works by Édouard Manet, Pierre-Auguste Renoir, Berthe Morisot, and Gustave Courbet, along with James Abbott McNeill Whistler and John Singer Sargent. ANSEL ADAMS at the Corcoran Gallery - takes a new look at the work of this important and influential photographer through approximately. MARCEL BREUER: Design and Architecture at the National Building Museum - The exhibition will focus on Marcel Breuer’s extraordinary achievement in furniture and interior design. MATISSE: Painter as Sculptorat the Baltimore Museum of Art - In the first major American exhibition of the artist's sculpture in more than two decades, the exhibition presents more than 100 works of art from public and private collections from around the world to explore Matisse’s sculptural ideas and creative process and reveal the influence of contemporaries such as Auguste Rodin, Pablo Picasso, and Constantin Brancusi. RODIN: Expression & Influence at the Baltimore Museum of Art - The Modern Masters Series at the BMA continues with this intimate one-gallery exhibition exploring the sculptural legacy of Auguste Rodin through nearly 30 works by the artist and his contemporaries. 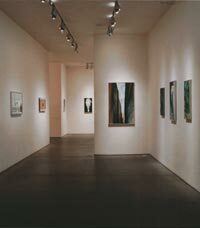 ALSO INCLUDES PRIVATE ART COLLECTIONS IN THE AREA.